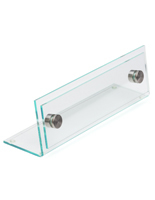 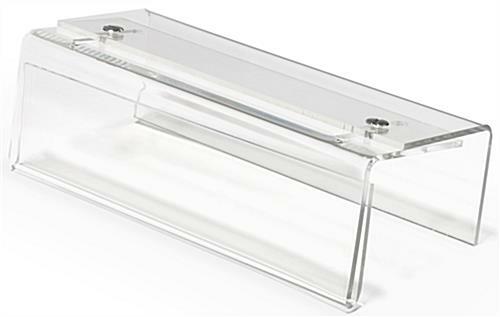 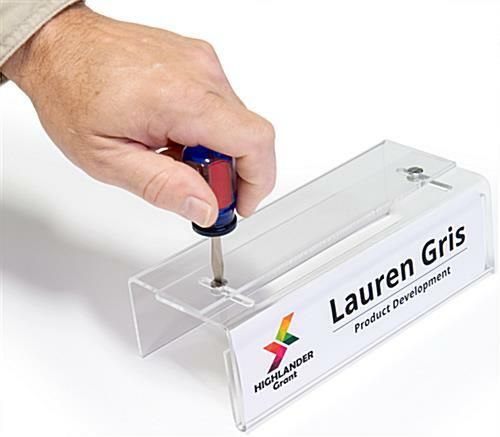 Wall Compatibility: 2 - 3.5"
This adjustable acrylic cubicle name plate holder is perfect for an office space with a variety of partition sizes. 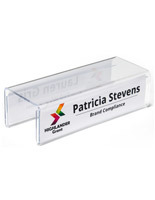 Each plastic accessory holds a 8.5” x 2.5” custom label to identify and personalize employee workstations. 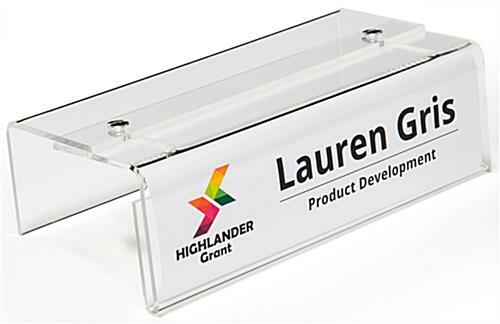 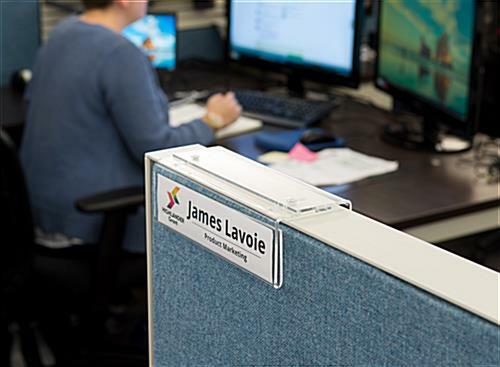 You can create your own custom inserts to fill the clear expandable cubicle name plate holder so the signs can be changed as often as needed. 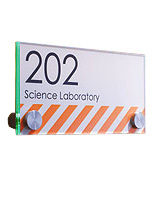 The desk sign expands to accommodate walls that are 2”-3.5” wide and has a screw-together design for stability. 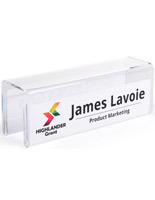 These sign hangers are constructed of durable long-lasting plastic. 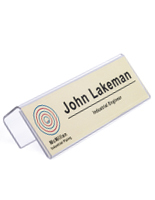 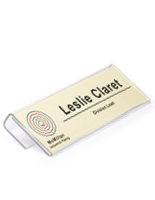 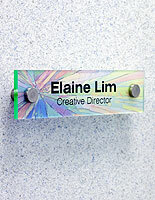 Your office will be complete with the addition of this cubicle name plate holder.